The Butterflies! 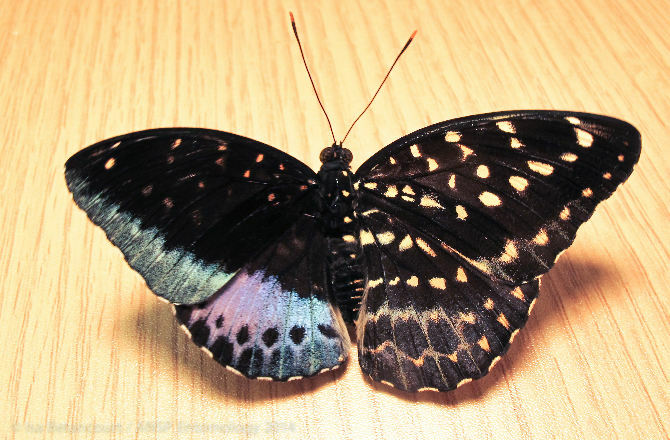 exhibit at Drexel University in Philadelphia has given birth to a live Lexias pardalis was a shocking delight when it was spotted. Chris Johnson, a volunteer for the university’s Academy of Natural Sciences, was working on the exhibit when he noticed a brand-new butterfly slowly spreading its wings. Since the wings were so different from each other, it became apparent right away that this was a different kind of butterfly than the rest of the flock. The wings show that this was a hermaphroditic animal known with a condition called bilateral gynandromorphy making it exactly half female and half male. Gynandromorphism is difficult to spot in many species whose male colorations are not different than their male counterparts, but because of this distinction in butterflies and many birds, it allows scientists to track just how rare it is.